Welcome back to June’s Flavor of the Month, cherry! 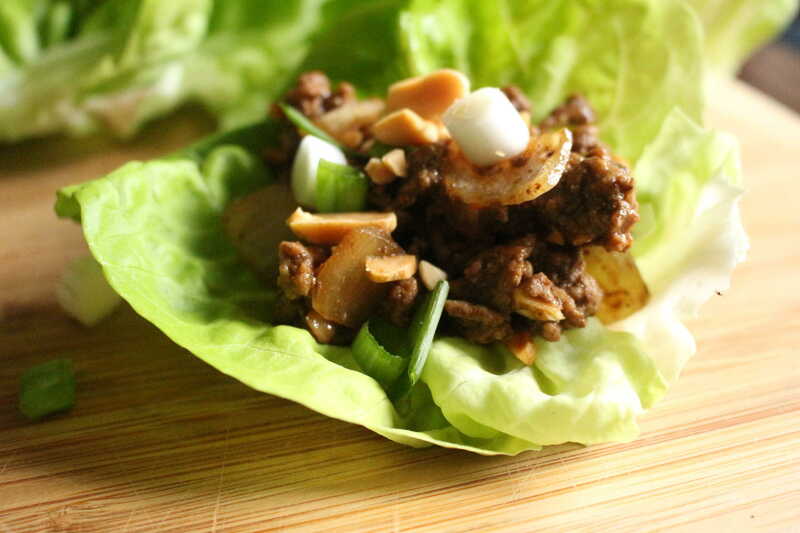 I’ve been tweaking the recipe I’m sharing today and it’s finally in a good place. 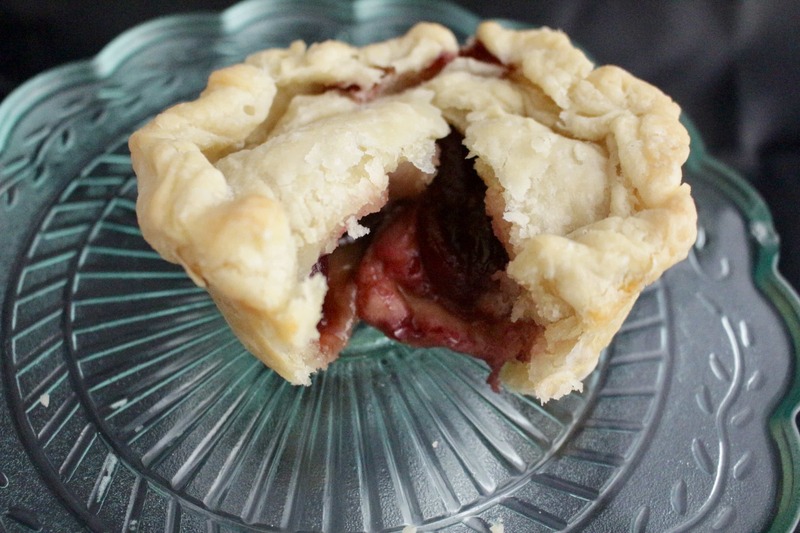 We know how great cherry pairs with cheese, so I wanted to make something baked with cherries that was warm and gooey. 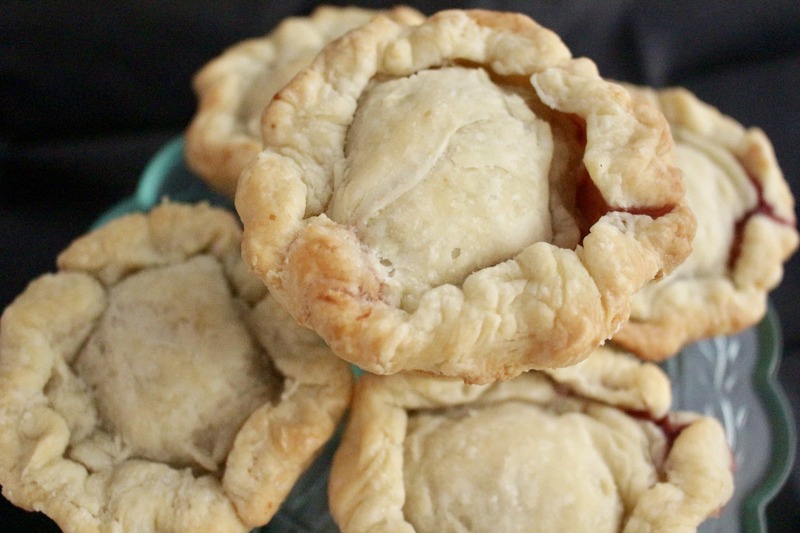 The first time I made these tarts I put Brie in them. Don’t get me wrong, I love Brie but somehow, I didn’t feel like it worked as well in this form. Next I tried grated Gruyere mixed with the cherries. That proved the Gruyere was the right cheese, but I wanted it to be in a bigger hunk to make it melt correctly. This version is the winner! Let’s get our tart on! 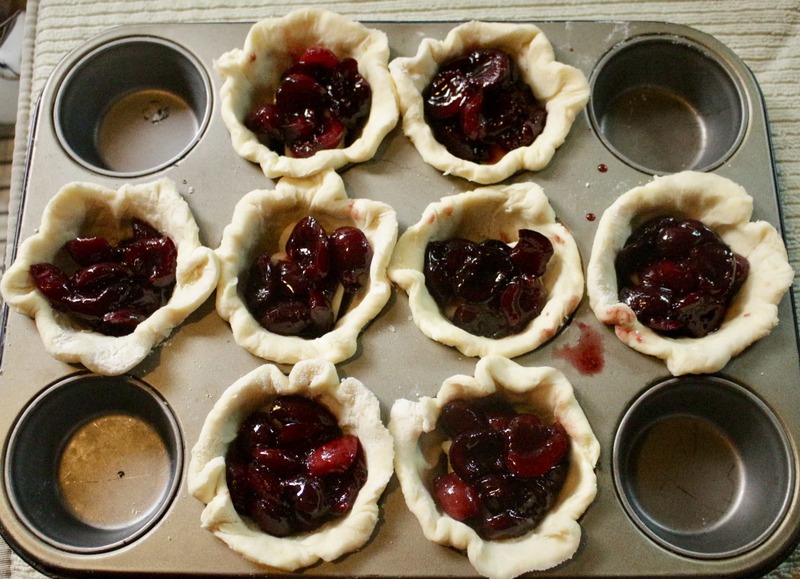 You’ll start by cooking the cherries so they can cool before the tarts are filled. Put the cherries, brown sugar, vinegar and salt in a small saucepan over medium heat. 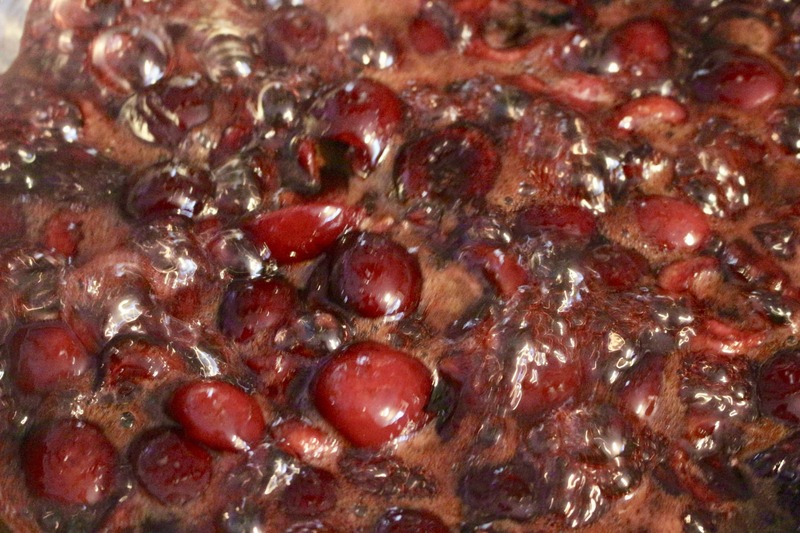 Cook for about 5 minutes or until it’s started to bubble, the cherries are softened and syrup forms. Set the cherries aside to cool for at least an hour. 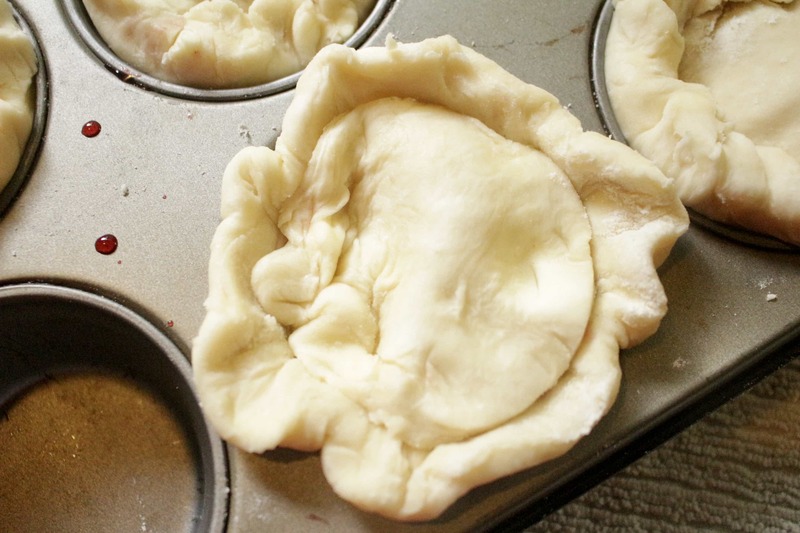 Preheat your oven and roll out the pie dough. I used my recipe, but you can also use store bought pie dough. 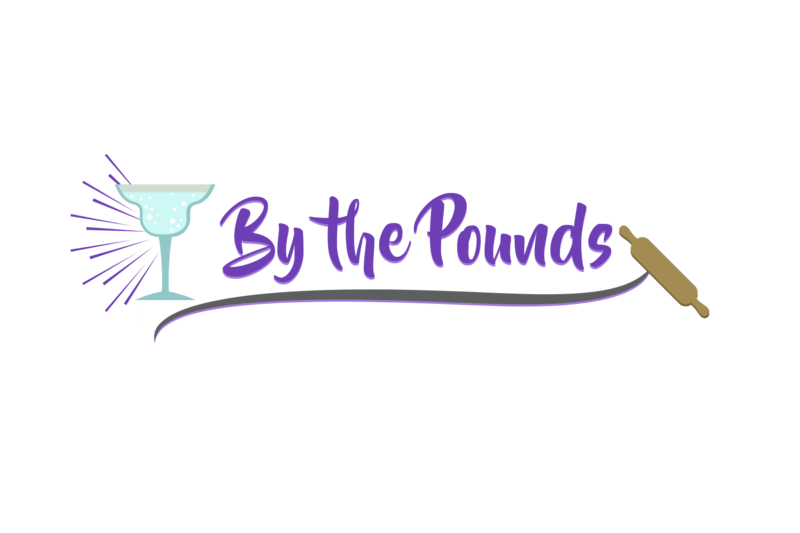 Roll it out on a floured surface to about an 1/8″ thickness. Cut eight 4″ circles and eight 3″ circles. You may have to re-roll the dough once to get all of them. 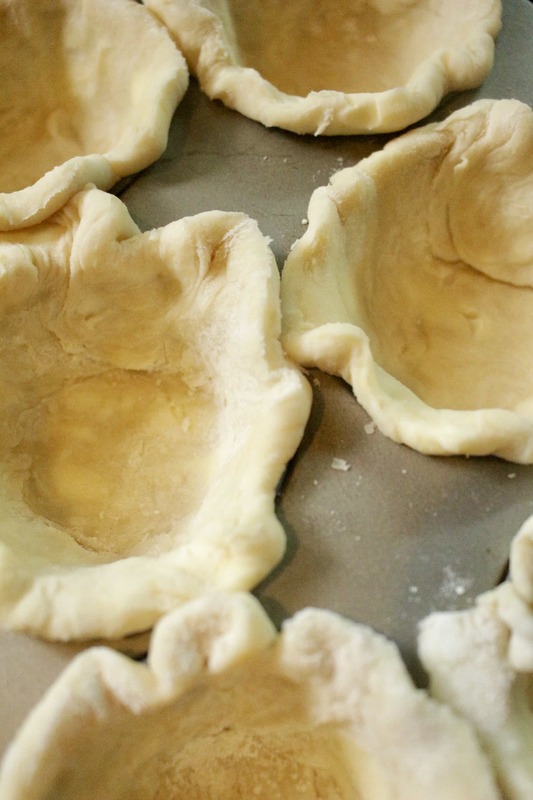 I used a bowl for the large circle and a biscuit cutter for the smaller ones, whatever works. Put one of the large circles in a muffin tin and squish it in the edges and leave a lip around the top. You’re going to use this to seal the tart after the smaller circle is placed. Repeat this with the other large circles. 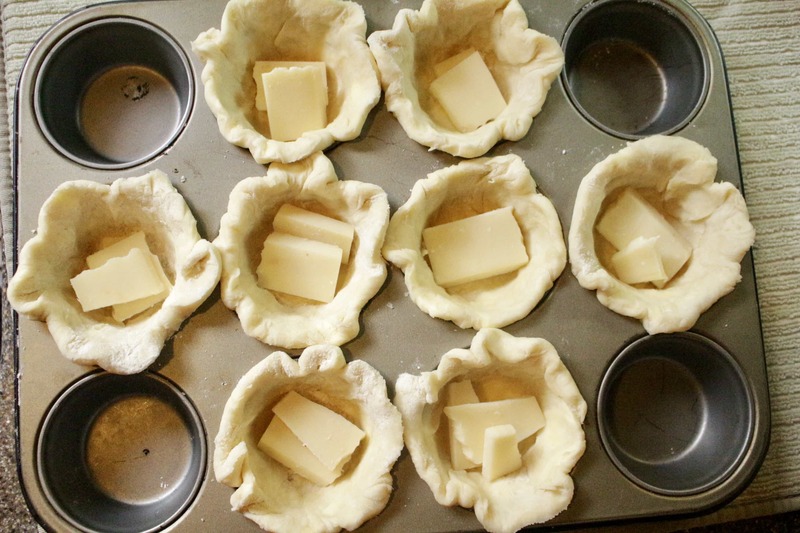 Cut the cheese into 8 equally sized pieces that will fit in the tart. Then spoon the cherries over the cheese in each muffin tin. 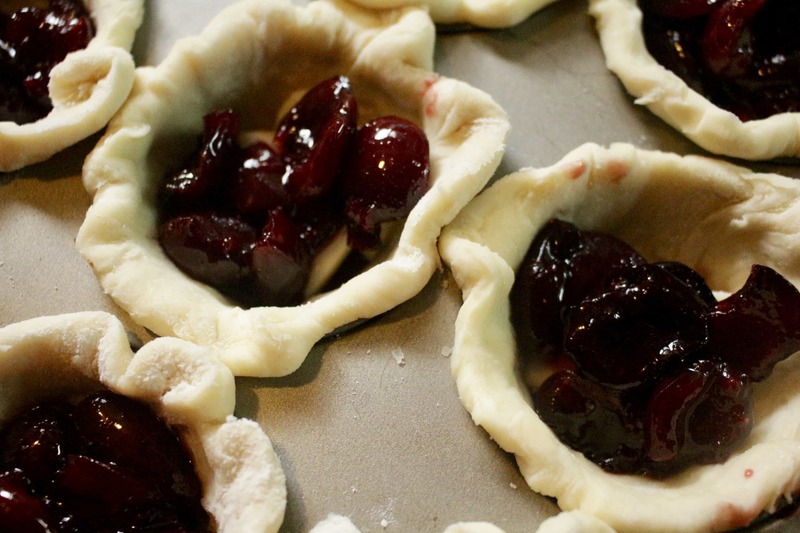 Now place the smaller circles on top of each tartlet. Then crimp the small circle and lip of the larger one together to create a seal. Then pinch the edges if you want to make a design. Bake the tartlets for about 25 minutes or until the tops are golden the dough is done. Let the tartlets cool about 15 minutes and serve. They are best eaten warm. 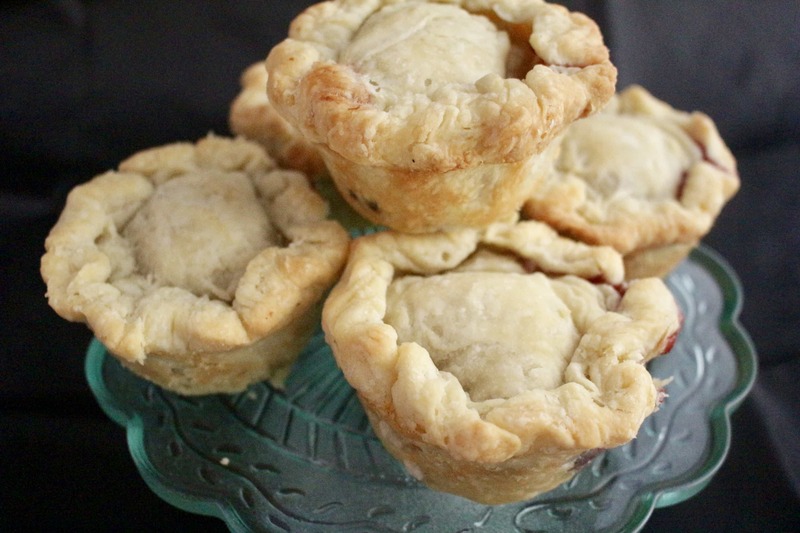 These tartlets are perfectly balanced between slightly sweet and savory. They could be a dessert or served with brunch or as part of a cheese plate. 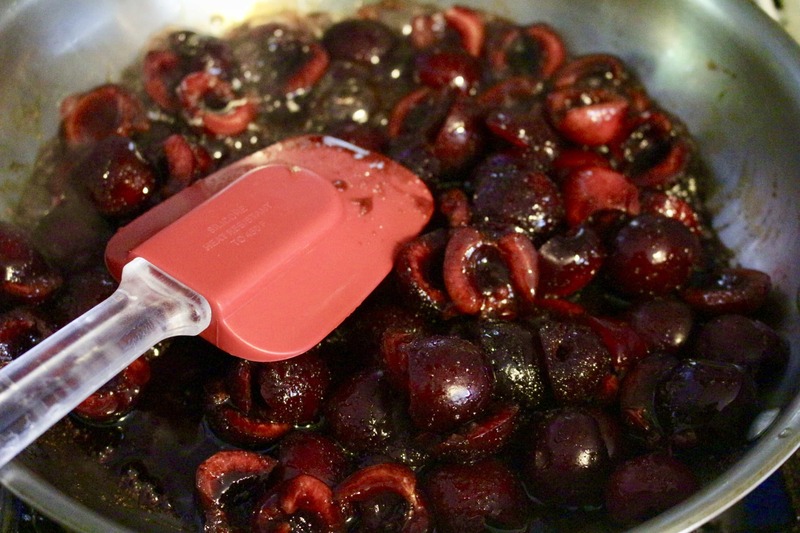 Cook the cherries, brown sugar, vinegar and salt in a small saucepan over medium heat until it's started to bubble and the cherries get softened and syrup forms (about 5 minutes). Set aside to cool for at least an hour. 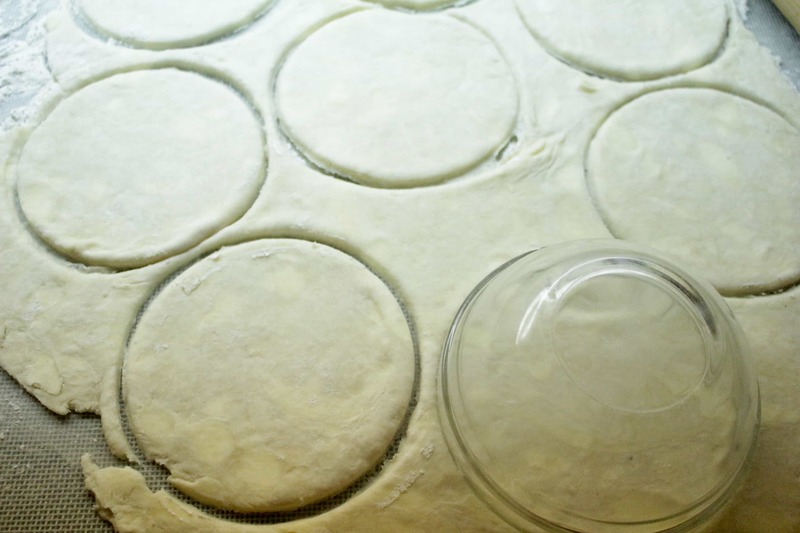 Roll out the pie dough on a floured surface to about an 1/8" thickness. Cut eight 4" circles and eight 3" circles. 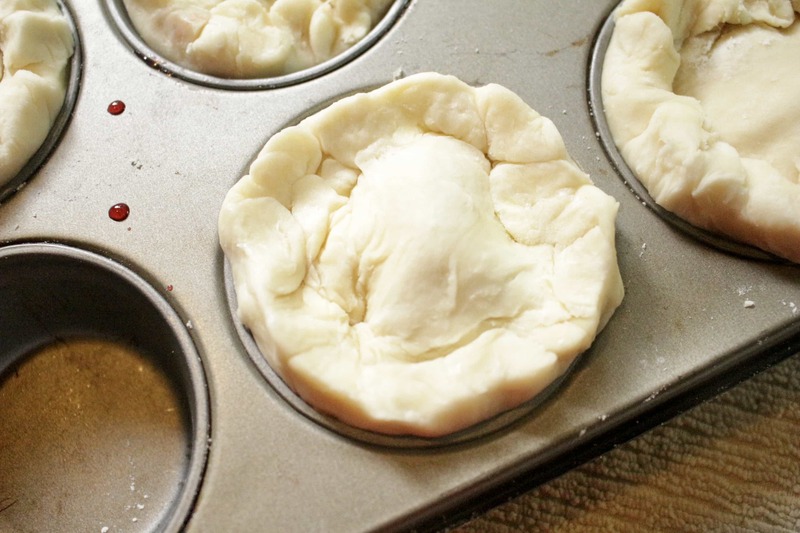 Put one of the large circles in a muffin tin and squish it in the edges and leave a lip around the top. Spoon the cherries over the cheese in each muffin tin. Place the smaller circles on top of each tartlet and crimp the small circle and lip of the larger one together to create a seal. Pinch the edges if you want to make a design. 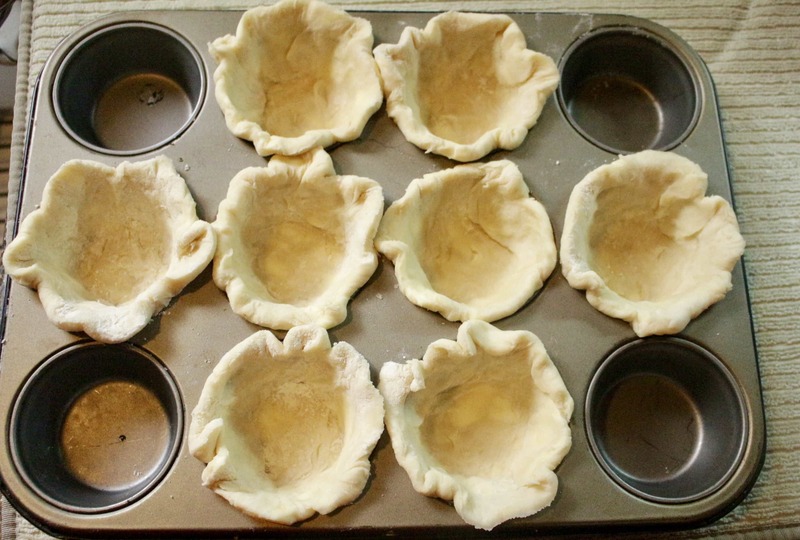 Bake the tartlets for about 25 minutes or until the tops are golden the dough is done. Let the tartlets cool 15 minutes and serve.